Send some fun this Christmas! 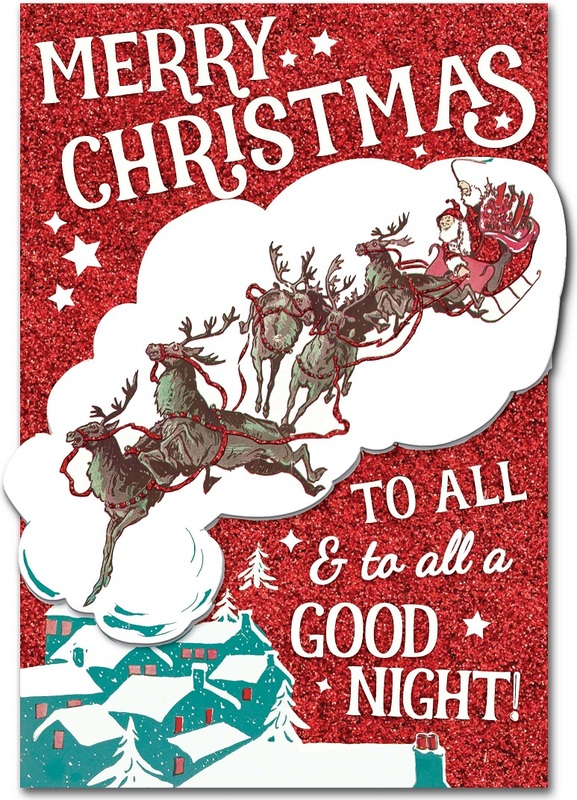 The cards in this set feature a vintage looking Santa Claus and his sleigh, pulled by the famous reindeer! 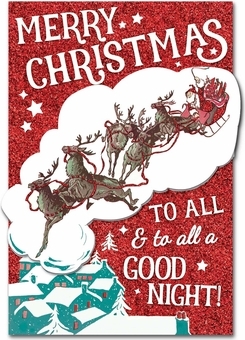 The accompanying text reads, "Merry Christmas to all & to all a Good Night!" Red glitter makes the card truly shine.